BACK ON MARKET! 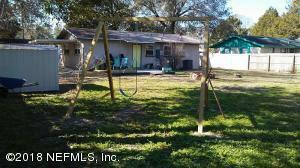 Amazing property located in Yulee Florida! 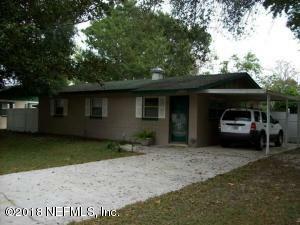 This concrete block home is a three bedroom, one bath, with 975 sq. 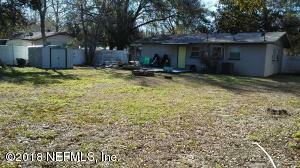 ft. Home features a driveway with carport, spacious fenced in yard with a shed, laundry room, tile floors, new well, and home sits on a 0.25 acre. Roof was replaced in 2012 along with plumbing, appliances in 2010. In 2008 the kitchen and bathroom were remodeled along with a new heat pump system. Perfect starter home, rental, or investment opportunity minutes from shopping and dining, beach days are only 15 minutes away, and a short drive to Jacksonville and Kings Bay Naval Base. Do not miss out! This home has been on the market since Jan 08,2018. Courtesy of LOVE REALTY, INC.